when we bring out the legos, it makes sense to me that keeping them in tubs or on shelves isn’t practical. especially when there is a certain blue piece with a curvy edge that has to be found. 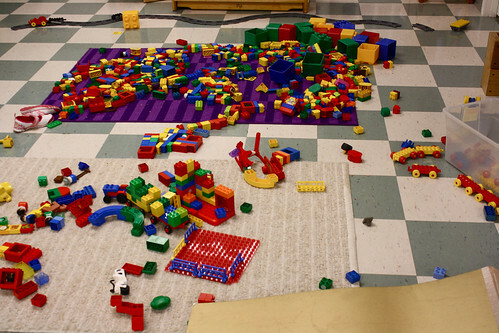 so this year i set out a couple of area rugs and called them “legoland.” this is where we kept the legos. 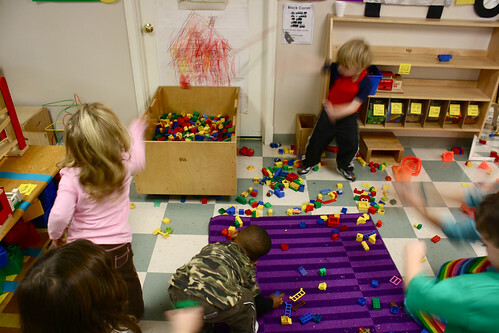 when it was time to clean up at the end of the week and going outside to run and scream was really what we were ready for, tossing the legos in was a great compromise. 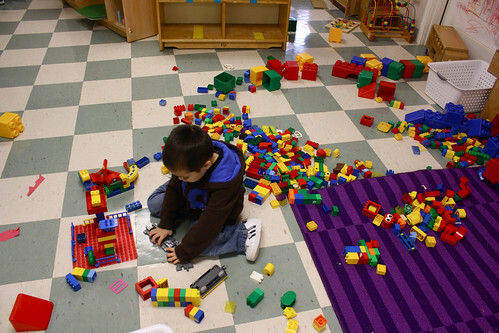 I love that you let them toss the blocks as part of clean up. I haven’t done that. Maybe I should??? yes! walking through legos makes me cringe. what isn’t shown in the photos, is that i spend time moving unused legos back to the rugs so builders can sit on the perimeter. then the rule is not to walk on the rug at all…just sit on the edge and reach (or move to get the piece you want). what might work better is if i would make a tape border on the floor around the rug. 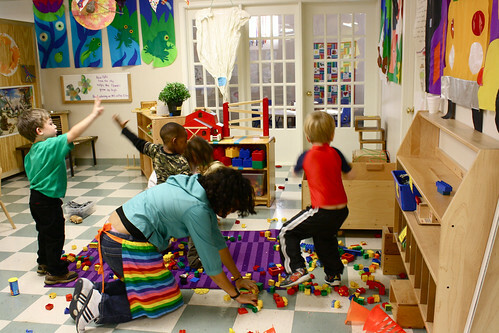 then builders step over the border of legos and come inside to build….hmmmmm. I am so glad to see somebody else’s room look like ours! Thank you again for sharing your day with so many of us, you have become my help mate!